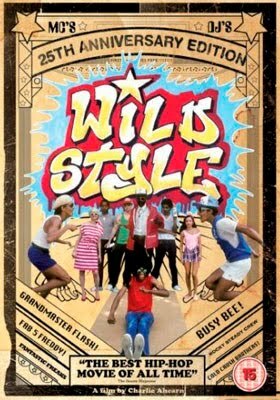 Wild Style was the first Hip-Hop motion picture. Released theatrically in 1983 by First Run Features and later re-released for home video by Rhino Home Video, the movie was directed by Charlie Ahearn and featured Fab Five Freddy, Lee Quinones, the Rock Steady Crew, The Cold Crush Brothers, Patti Astor, Sandra Fabara and Grandmaster Flash. The protagonist "Zoro" is played by the legendary New York graffiti artist "Lee" George Quinones. 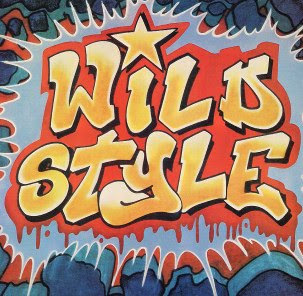 An early version of the 'Wild Style' logo appeared in the Fall of 1981 when Charlie Ahearn hired graffiti legend Dondi to paint the 'window down' subway car piece that appears in the film. The Dondi piece was the inspiration for the animated title sequence designed by the artist Zephyr in 1982. The 'Wild Style' logo was designed by Zephyr and painted as a huge 'burner' mural by Zephyr, Revolt, and Sharp in the Summer of 1983. Wild Style is widely regarded as a film of great historical and aesthetic significance due to it's portrayal of legendary Hip-Hop icons in their ascendancy, as well as it's profound documentation of an emerging sub-culture. You can find more information about Wild Style from the Independent Movie Data Base here. Or visit the Official Wild Style website here. The movie is available for purchase here. Los Nandez ft. Don Dinero - "La Conexion"
Conspiracy of Mind ft. Chino XL - "Sabotage"
Jennifer Lopez ft. Pitbull - "Fresh Out The Oven"
Kinto Sol - "Aplastando Moscos"
KRS-ONE & Marly Marl "Hip-Hop Lives"